If you're in your twenties and want to pursue your God-given destiny, read on! 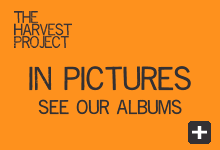 Hear stories from current Harvest Project students about what God is doing!! Hear from credible Christian leaders from across America on relevant, critical life topics! Every person breathing carries a personalized, God-appointed destiny. You were created for a purpose. Here at the Harvest Project, we will help you become equipped to take confident steps toward your future. In this leadership school, take nine months and join a community of other passionate young adults who want to whole-heartedly follow Jesus. Can I hear His voice? How can I know His will for me? How has God wired me, and what difference does it make?